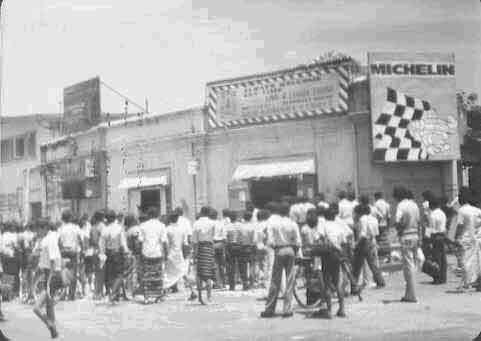 Tamils everywhere on the island were attacked by mobs of Sinhala rioters in July & August 1983. 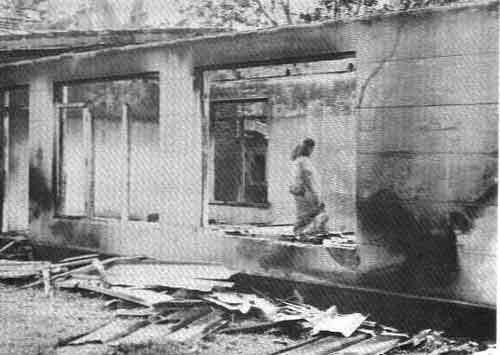 "Clearly this was not a spontaneous upsurge of communal hatred among the Sinhala people - nor was it as has been suggested in some quarters, a popular response to the killing of 13 soldiers... It was a series of deliberate acts, executed in accordance with a concerted plan, conceived and organised well in advance." "The impact of the communal violence on the Tamils was shattering... 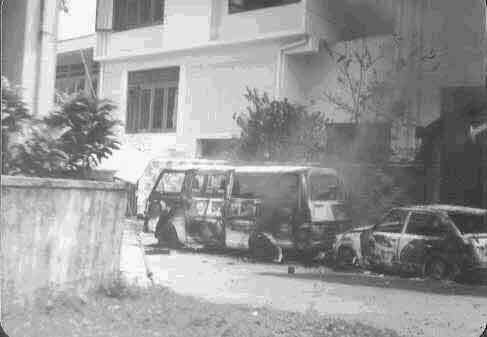 The evidence points clearly to the conclusion that the violence of the Sinhala rioters on the Tamils amounted to Acts of Genocide." "Motorists were dragged from their cars to be stoned and beaten with sticks... Others were cut down with knives and axes." 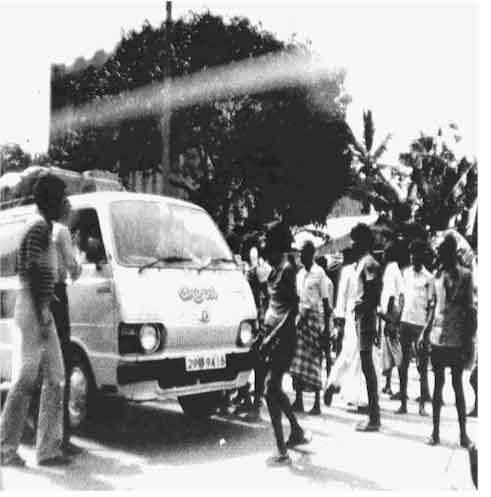 Dr. Rajasunderam, Mr. Kuttimani and Mr. Thangathurai, were among the 52 Tamil political prisoners murdered under government custody in a maximum security prison. "Army personnel actively encouraged arson and looting of business establishments and homes in Colombo and absolutely no action was taken to apprehend or prevent the criminal elements... 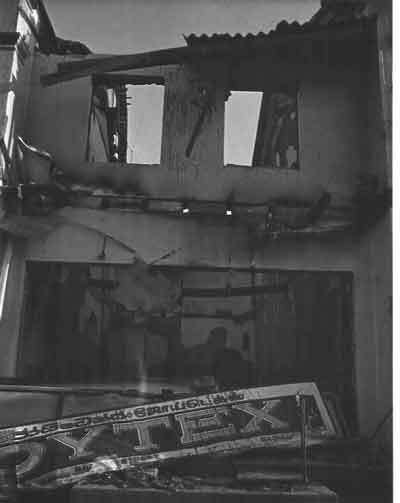 In many instances army personnel participated in the looting of shops." 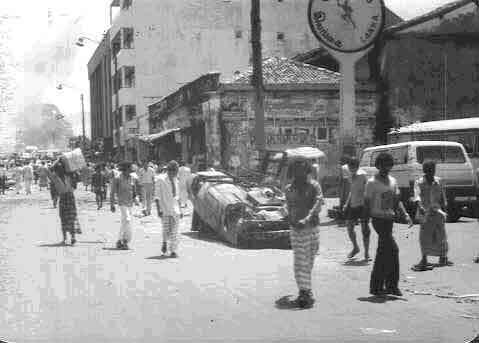 "Throughout the early hours of the violence it was clear that neither police nor defence forces had been given orders to re-establish control... At one point several army vehicles drove through the city, packed with troops who shouted encouragement to the rioters." 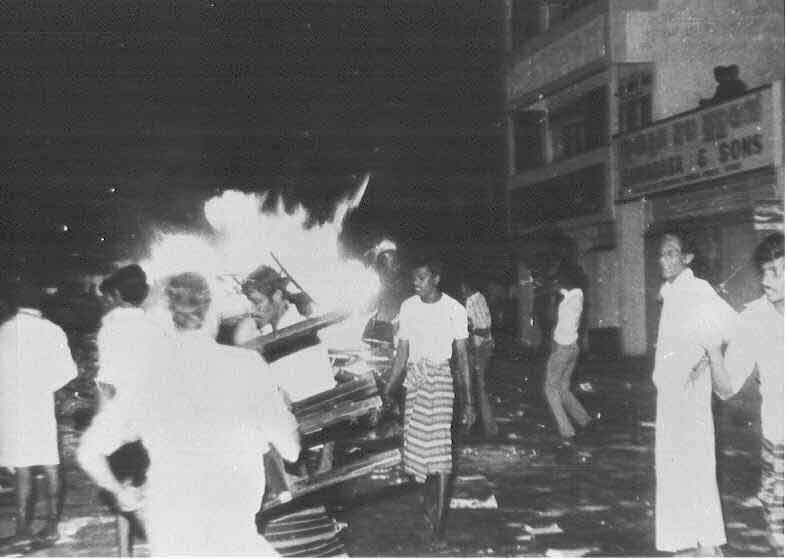 "Mobs of Sinhala youth rampaged through the streets, ransacking homes, shops and offices, looting them and setting them ablaze, as they sought out members of the Tamil ethnic minority."